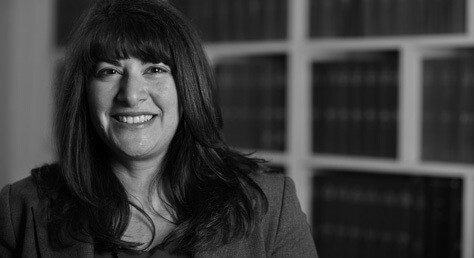 Aysen Soyer, head of the family law team at north London firm, Wilson Solicitors LLP, provides some practical advice and information on nuptial agreements. When organising your wedding, or if you decide to move in with someone you love, a nuptial agreement doesn’t appear to be the most romantic thing to be thinking about. But forward planning, and actually considering what each of you wishes to happen to your assets in the event of marriage breakdown or separation is advisable. In many instances, for example if this is a second marriage, or if one of the parties has more assets than the other at the time you meet or set up home together, it is highly recommended. So, what is a nuptial agreement? Quite simply, it is a contract between two people, where each agrees what is to happen to their assets if they separate. A ‘pre-nuptial agreement’ is entered into before marriage and a ‘post-nuptial agreement’ is entered into after a marriage has taken place. If you decide that you wish to live with someone, rather than marry, but you still wish to protect your assets, you can enter into a ‘co-habitation agreement’. Each of these types of contract are designed to set out your agreed terms about what is to happen to any assets acquired before your relationship, and how you share any assets or property which you bought together. You may also include income provision clauses, for an agreed period of time. Nuptial agreements, although historically not actually binding in the UK courts, have come to be viewed as strong evidence of the parties’ intention (in so far as dealings in relation to their finances are concerned) at the time they entered into their agreement. English family law does not formally recognise these agreements in the way that other countries automatically do, but in recent years the family courts have given weight and upheld nuptial agreements in a number of cases and treated them as being of significance. The signs are that this is going to be increasingly the position. However, in order for it to be the position in all cases, Parliament would need to bring in new legislation; and this is under review. Nuptial agreements must be entered into freely and voluntarily by each of the parties. There must be full and frank disclosure of each other’s finances and each must have received separate, independent legal advice. The agreement itself must be ‘fair’, and all of this must be clearly documented. Have that frank conversation with your partner. Decide what you each wish to happen if the unthinkable happens and you separate. Get your financial information together. Make an appointment to see a family lawyer. Don’t delay. Pre-nuptial agreements must be executed in good time before the wedding. If you think you may need help in drafting a nuptial agreement, or if you have any other family law cases you need help with, please contact us: we’ll be happy to assist you: www.wilsonllp.co.uk . To arrange an appointment or to speak with a solicitor today, please call Mavis on 020 8885 7986. Aysen’s email is a.soyer@wilsonllp.co.uk.